Choosing the right business or career to start is one of the most important decisions in life today. Being happy and content at work is desirable for most. Knowing you’ve made the right decisions in your speciality is the perfect addition on your path to success. 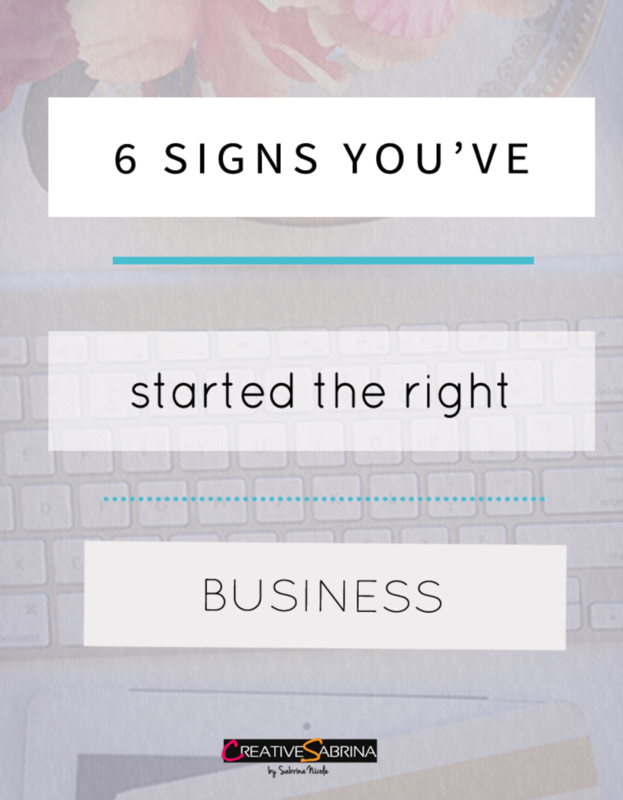 Here are the 6 Signs You’ve Started The Right Business. You don’t just see your new business venture as a quick cash fix or something to kill time. This is your career. You realise it’s going to be hard work but overall you’re dedicated and ready for the challenge. You feel happy and satisfied with the decisions you’ve made about your business. Your confidence is enough to take on any new aspects and you love what you do. You can’t stop talking about it and it’s putting a smile on your face. Starting any new business is tough but you feel motivated to get through any rough patches and continue to make your business thrive. Whether it’s learning new skills or researching ways to improve your business. You have the motivation to do so. You’re eager to grow. You know where your next opportunities are and working on how to get there. To reach your goals you see you’re expansion in the next few months or years. You’re ready to invest in these options, put in more energy and reach your goals. Being your own boss means being in control of your day and making your own decisions. This makes you feel assertive and in control. Now you have the self control to progress and make your business successful. As above you’re passionate, happy, confident whilst sometimes faced with tasks that aren’t always exciting. Sometimes you may have money slumps or no clients booked in tomorrow, so having a positive outlook on your business and having all of the above qualities proves that you’re a boss! Overall we all have our good days and our bad, life can get stressful, therefore feeling good about our career paths can be rewarding. Do you feel like you’ve made the right decision with your business or career? How do you know the Signs You’ve Started The Right Business?